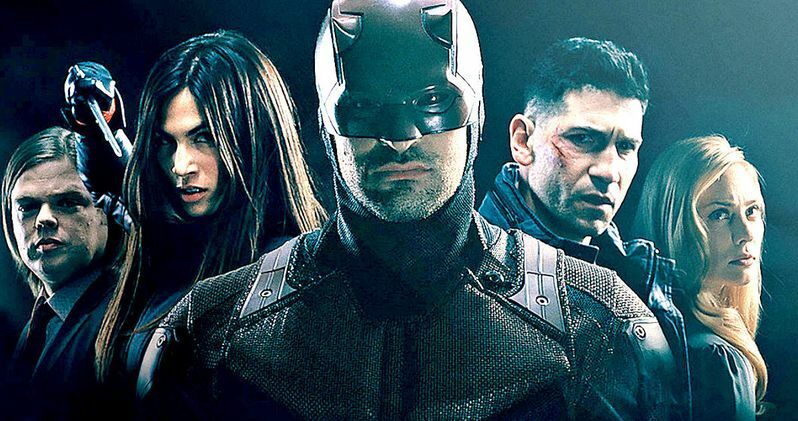 Netflix was quick to renew Daredevil for a third season following the tremendous success of the second season, which introduced Frank Castle, aka The Punisher, to the current Marvel TV universe. Daredevil season 3 hasn't started filming yet, but Charlie Cox did say that production would be getting underway at some point this year. Now it looks like we have a start time, and Matt Murdock is going back to Hell's Kitchen for Halloween this year. According to a new report from MCU Exchange, Marvel's Daredevil season 3 will start shooting this October in New York City. That means we will almost definitely see the show return sometime next year, but likely later in the year. Here's what their report had to say about it. "We can definitely report that the much-awaited third season of Daredevil will begin filming in October of this year, specifically during the month's later weeks, according to our source close to the production. Just in time for Halloween." Daredevil season 2 debuted on Netflix in March 2016. That means that it will almost certainly be more than two years between new seasons of the beloved series. But there are a few good reasons for that. Firstly, Charlie Cox has been busy filming The Defenders season 1, which finally arrives on Netflix August 18. Not only that, but Marvel and Netflix also found a couple of big hits with Jessica Jones and Luke Cage, which both got picked up for additional seasons. Jessica Jones season 2 and Luke Cage season 2 have both been in production and are likely to debut next year as well. That being the case, it would have been tough for Daredevil season 3 to also be in production at the same time. With that in mind, we are probably going to see three seasons of new Marvel Netflix shows in 2018. Jessica Jones season 2 will likely debut first around March or April, with Luke Cage season 2 set to follow, probably close to August. That leaves Daredevil season 3 likely to bow around November. If the streaming service continues their pattern of releasing three new seasons of Marvel shows each year, which they are starting this year by releasing Iron Fist season 1, The Defenders and The Punisher season 1, we should expect to see that release pattern continue in the future. Netflix and Marvel have yet to officially announce any release dates for their currently in-the-works seasons, but it would make sense for them to come out in that order. Iron Fist season 2 also recently got the green light, so they will have that to contend with as well. In any case, we should be hearing some casting announcements and possibly bet getting some plot details for Daredevil season 3 soon, with production scheduled to begin in just a couple of months. Are we finally going to see an adaptation of Frank Miller's Born Again storyline? One can only hope.